Living with integrity, isn’t this the task that we are here in this life experience to achieve? Finding our way through all of the muck to the finish line, living our life in the quality of being honest and having strong moral principles. My interpretation of integrity is this; when your spirit, your mind, your speech, your behaviours and your actions are all one with each other, you have very well mastered how to be a good person, not only for yourself, but for the good of the whole as well. Integrity, one small word with such a powerful meaning. The manner in which we are to truly connected to our Soul rests on this one highly influential word. As I write these sentiments, I can feel the energy in my hands heat up, integrity means a lot to me. There are many of us who are engaged in our spiritual awakening, this is the path we trek with it’s challenges and obstacles. We know there is more to this life than mere external attachments. 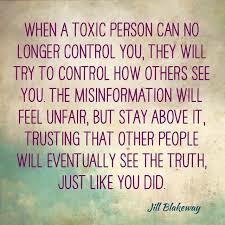 Those of us that have emotionally toiled through breaking down our conditioned behaviours, will know what it is like to begin to experience the state standing in our truth with integrity. The patterns of your mind must be challenged, if you are brave enough you will enter the ring of fire. It is important to remember even the most raging fire can be extinguished with the proper tools.